I'm new at using cosmomc and I have some problems with it. I'm currently using the 2015 version. 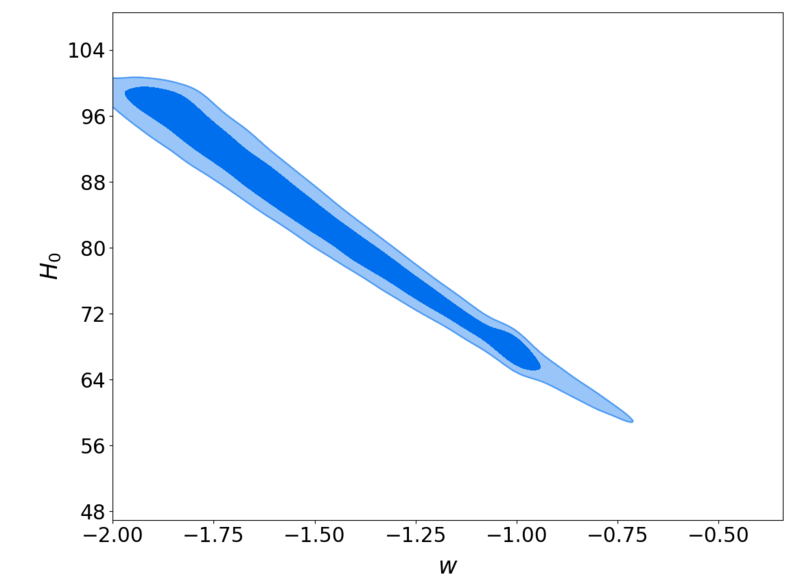 My goal is to produce the plot of w - H0 for CMB and BAO likelihoods using a certain w(α) model and parametrization. I'm open to any and all suggestions as to where my mistake is. EDIT: Could it be because the default sample number is not enough for 2 likelihoods? Default sampler is enough for two likelihoods or more, for usual DE parametrizations included in CosmoMC, from my experience. The thing is that I changed the DE parameterization. Could the sample number be at fault in this case? The problem is you think the contours should be smaller? Check your output .inputparams file to check all as expected, e.g. BAO actually being used. 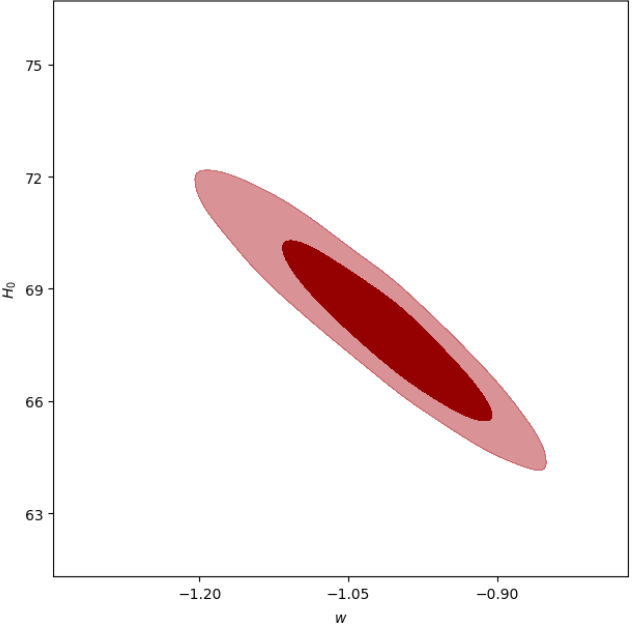 BAO likelihoods are definitely included as well as CMB (I checked the .inputparams file). I did another run, this time using the Metropolis-Hastings method with a sample number of 600000 and this time I almost got the contours I expected. The reason I changed it to Metropolis was because of the inclusion of BAO data, was my logic sound or were the results better just because of the higher sample number?